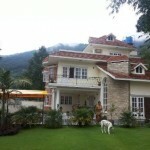 If you are looking house to buy in Nepal, It is right place find home for sale from all around the Nepal. 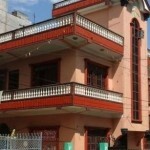 One storey house is avaialble for uragent sale at Devi Nagar, Btwal. 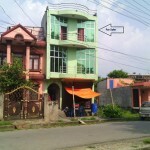 Location:- 100 mtr distance from 50 Feet Road (New highway Butwal To Nayagauw) Devinagar-13. 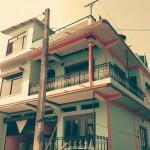 Note: Owner is ready to Exchange With Land in Rupandehi District only. A very beautiful, 3.5 storey, south facing, strong (survived the massive earthquake without a scratch) is on sale at Tinkune , Subidhnagar. 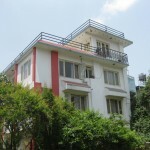 The property is located in prime location in Tinkune , subidhanagar near Triton colleage. 100 meters far from the main road. Firtst Floor : 1482 sq.ft. Second Floor :1512 sq ft.
fourth floor :200 sq ft. Ground Floor details: 4 shutters. 1st floor details: 1 hall room, 1 bed room, toilet and bathroom. 2nd Floor details: 3 bed room, 1 waiting room, 1 kithen and 1 bathroom. Ground Floor Details: 1 Shutter, 2 Bed rooms, 1 kitchen and 1 bath room. First Floor Details: 3 bed rooms, 1 waiting room and bath room. 2nd Floor Details: 2 bed rooms and 1 kitchen. 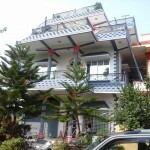 Newly Built 3.5 storey east facing house is available for Sale at Shankar Nagar, Tilottama. The has 30 ft access road in front side and 20 ft road in back side. Ground Floor Details: 1 Shutter, 1 Guest room, 3 Bed rooms, 1 kitchen and 1 bath room. First Floor Details: 1 Guest room, 1 Kitchen, 1 bed room with attached toilet, 2 bed rooms and 1 Bath room. 2nd Floor Details: 1 Guest Room, 1 kitchen, 2 bed rooms and 1 Bath room. 3rd Floor Details: One hall room with attached bathroom. Parking: 1 Car Parking Space at front Side. 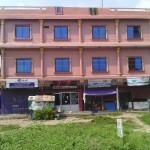 Three and half storey western type commercial building built in 13 dhur land is on sale at Butwal sub metropolitan City, Ward no. 15, Jitgadi. The house is located on main East West highway. Ground Floor details: 2 shutters, 3 car parking space (Garage) & Garden space (Backside). 1st floor details: 1 Bed room with attached bath room, 1 Kitchen with dining, 1 Hall room. 2nd Floor details: 1 master bed room with attached western bath room, 1 Bed room attached western Bathroom and 1 Hall room. 3rd Floor details: 1 Hall and 1 Bed room. 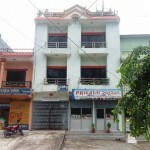 Two and half storey commercial house built in 13.50 dhur land is available for sale at family food shopping center, Sukkha nagar nilgiri tole, near Everest boarding school. It has 20 ft. wide front road. Ground Floor details: There is big hall room and toilet on ground floor, currently a shopping center is running on that room. Parking Space: There is big parking space at right side of the house where you can park upto four cars. 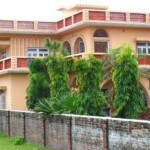 Beautiful house built on 8 dhur land is on urgent sale at Itahari, Sunsari. The house is located just 50 m away from New bus park. There is parking space for small car. Other details are given below. 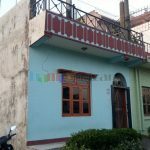 Recently built Bungalow on 1 Ropani area is on urgent sale at Budhanilkantha. It is located in peaceful and pollution free environment. Bungalow is best suitable for high class living because it has all facilities like water, garden, parking and many more.